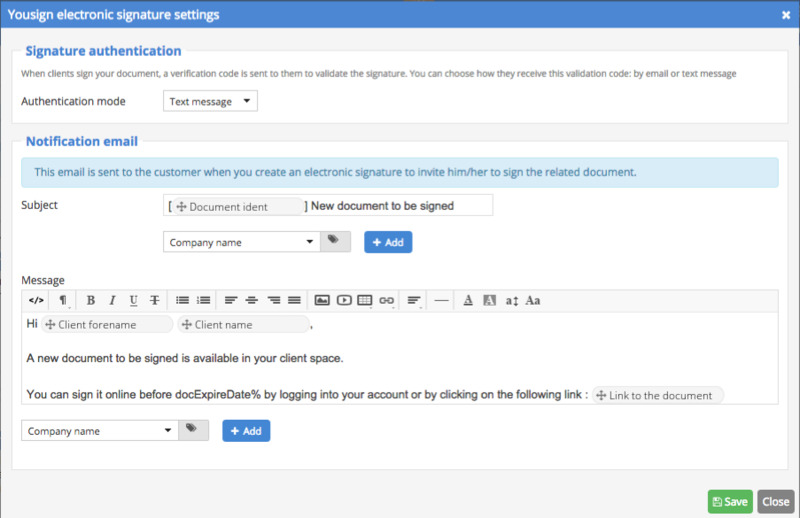 When your clients sign your documents, a verification code is sent to validate the signature. You can choose how they receive this validation code: by text or email. >Click on "Save" to keep your settings.